Marshall's softball team lines up for the national anthem prior to its home game against Charlotte last season. 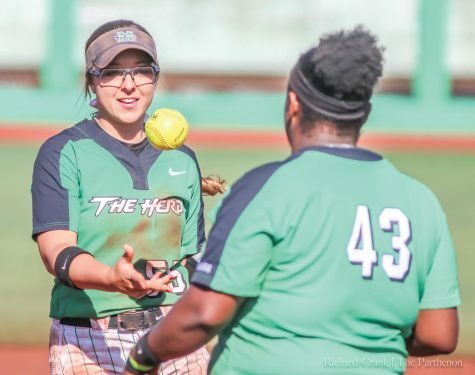 After nine years as head softball coach for the University of Kansas, Megan Smith moved east this summer and took over as Marshall University softball’s new head coach. Smith, a Walkertown, North Carolina, native and University of North Carolina alumna, was officially hired by Marshall in mid-July. 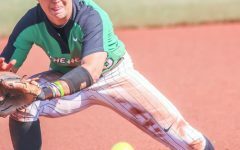 She said that aside from Marshall’s close proximity to her North Carolina home, Marshall’s softball program matched what she was looking for. 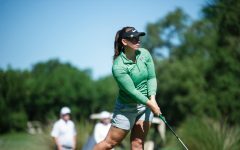 Before she moved to Marshall, Smith achieved a notable level of success at Kansas. During her tenure from 2010 to 2018, she established a career win-loss record of 393-265. In that span, her teams achieved six-straight seasons in which they won 30 or more games. Smith also led the Jayhawks to NCAA Tournament berths in 2014 and 2015. 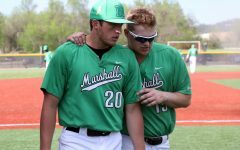 “(Kansas) was a good place to be and now I’m ready to get Marshall into the (NCAA) regionals, hopefully year-in and year-out,” Smith said. After accepting her first new job in almost a decade, Smith said her move to Huntington was seamless. Smith said the most positive thing about her move—what she is looking forward to the most—is the student-athletes she now coaches. 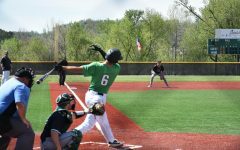 Marshall has 12 returning players from last season and eight newcomers (five freshmen, three transfers). Smith talked about the mix between old and new players. She said she thinks the mixture creates a balance on her team. Smith said her returning athletes bring experience and leadership while her newcomers bring talent. Smith is Marshall’s third head coach in three years. 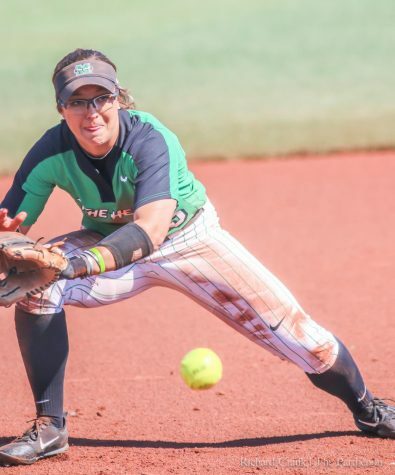 Coaching changes are unfamiliar territory for the program after former head coach, Shonda Stanton, maintained the position for 18 years (1999-2017)—a majority of the program’s 24-year history. Stanton took a head coaching job at Indiana University following the 2017 season. 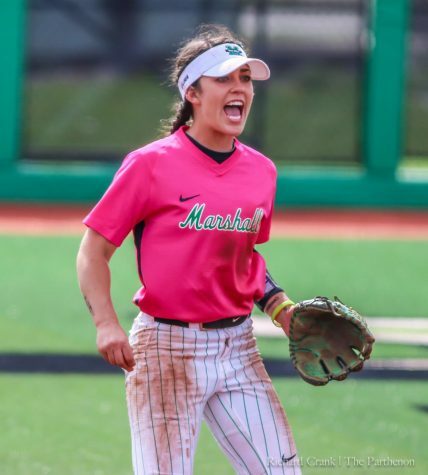 During her time at Marshall, Stanton laid the foundation for the Herd and earned national notoriety. 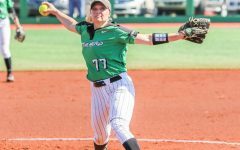 Her teams appeared in two Mid-American Conference championships (2003 and 2005), a Conference USA championship (2013) and two NCAA Regional Tournament appearances in 2013 and 2017. 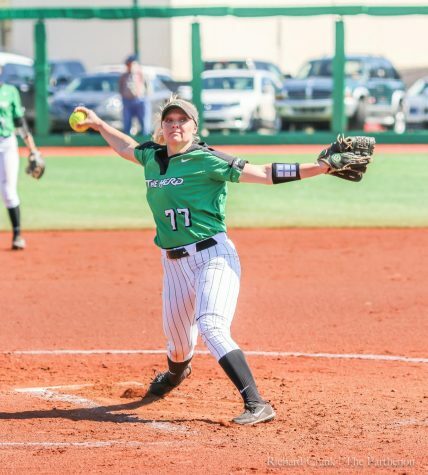 Smith said part of the reason she came to Marshall was because of Stanton’s success. Smith acknowledged Stanton’s accomplishments at Marshall. 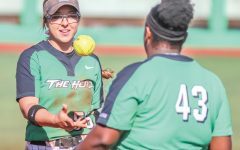 She said it is a new era for Herd softball, and she wants to build on the old foundation. 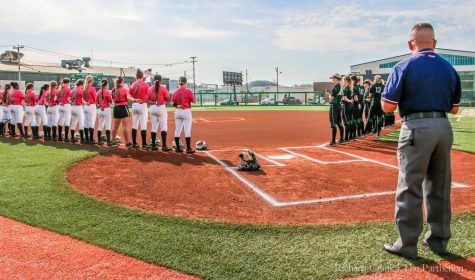 After earning an NCAA Regional Tournament berth in 2017, Marshall was less successful last season. 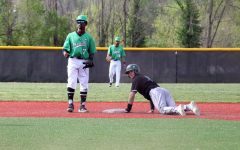 The Herd went 25-29-1 and lost to WKU in the first round of the Conference USA tournament. Smith said with the Herd’s athletic talent and revamped coaching staff—assistant coaches Maddie Holub and Corey Lyon—Marshall softball is built for success.